Since the green dinosaur’s debut in 1990 as Mario and Luigi’s sidekick in Super Mario World on the SNES, we’ve seen Yoshi go on to make a name for himself in the Mushroom Kingdom. When he’s not racing his pals or partying with the Mario crew, he’s busy defending other Yoshis and Baby Mario from his arch-enemy, the nefarious wizard Kamek. Now in 2019, we’ll get to go on a new adventure with Yoshi since his last appearance in 2017’s Yoshi’s Woolly World back on the Wii U. 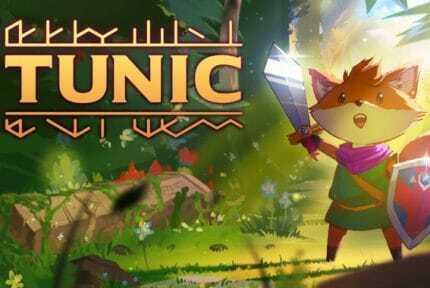 With the game’s release date just on the horizon, we thought we’d share everything we know about the upcoming side-scrolling platformer. Here’s everything you need to know about Yoshi’s Crafted World before its release. Yoshi’s Crafted World Gameplay–What Could Be Changed? During E3 2017, Nintendo revealed that a new Yoshi game was currently in development by Japanese developer Good-Feel, the team that helped create Kirby’s Epic Yarn. The game was scheduled to release the following year in 2018, however, it would be delayed and given a new release date: March 29, 2019 along with an official title: Yoshi’s Crafted World. The game will be available solely on the Nintendo Switch, making it the first main series Yoshi game to appear on the console. 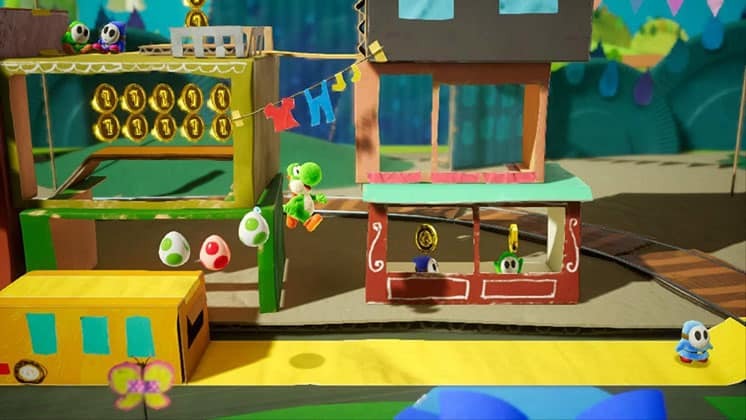 Similar to Woolly World, Crafted World has a distinct art style, ditching yarn and instead giving enemies and objects the appearance of textured cardboard, paper, and other craft materials. 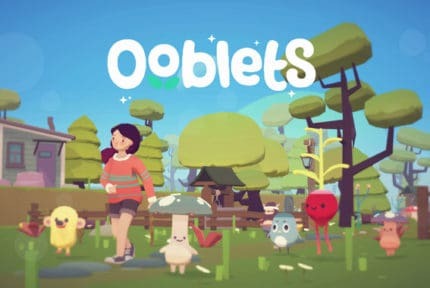 This leads to worlds that feel like living dioramas and are filled with plenty of charm and small details that happen to also look amazing thanks to the Switch’s technical capabilities. 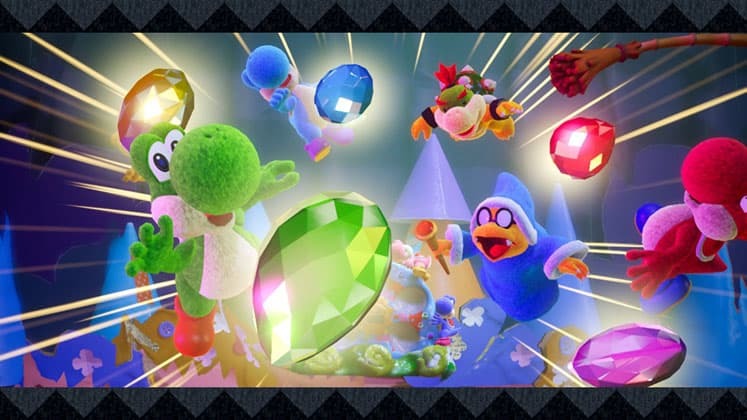 The story for Yoshi’s Crafted World begins with the Yoshis living peacefully on their Island, which is home to an artifact known as the Sundream Stone, a collection of gems that possess the power to make anyone’s wildest dreams come true. One day, Kamek and Baby Bowser appear and attempt to steal the stone, but are unable to thanks to the Yoshis. However, in the process the gems from the Sundream Stone become loose and are sent flying across the world. It’s now up to Yoshi and his pals to recover the gems and repair the Sundream Stone while getting to the bottom of Kamek and Baby Bowser’s evil plans. With Woolly World’s story, we saw Kamek stealing yarn in order to help Baby Bowser grow to a much larger size. Crafted World looks to be the villainous duo’s latest attempt at causing chaos in the Mushroom Kingdom. Yoshi games have maintained a fairly consistent formula over the years, focusing on platforming mechanics as well as Yoshi’s ability to turn enemies into eggs and launch them anywhere he chooses. With Crafted World, Good-Feel is looking to utilize the advanced capabilities of the Switch and incorporate some fun new ideas. Among these, is the ability to switch the game’s camera and bring the background of a level into the foreground. This change in perspective allows Yoshi to reach new areas and find hidden objects. 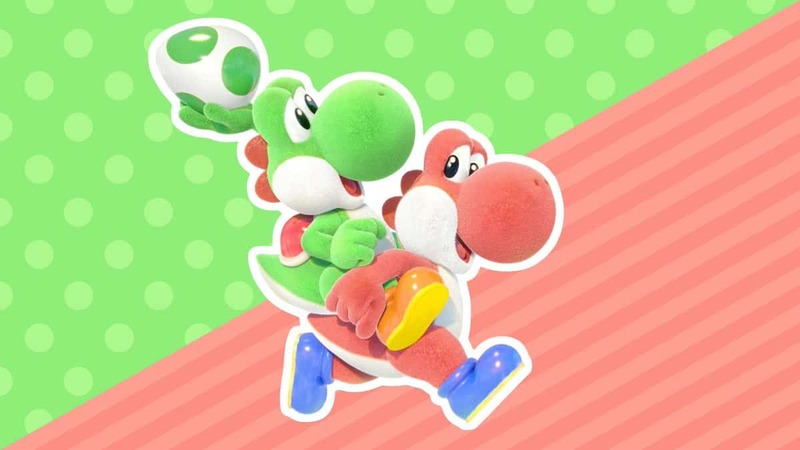 This feature also allows creates opportunities for Yoshi to travel along a three-dimensional path, now capable of walking up and down paths in addition to left and right. It’ll be interesting to see what new challenges Good-Feel creates with this new mechanic and how it will impact gameplay. 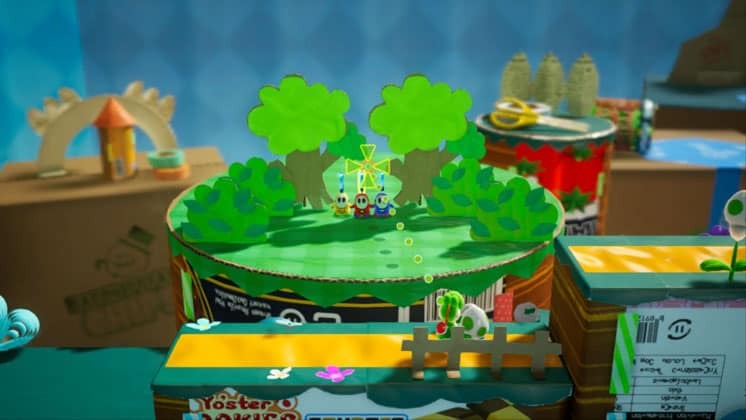 In addition, Crafted World will continue Woolly World’s emphasis on cooperative play, offering players the option to experience the game in a 2-Player co-op mode, which has each player controlling a separate Yoshi. Players will be able to carry one another, turn each other into an egg, and work together to reach hidden areas. It’s been a few years since we’ve seen Yoshi on a new adventure and it’s great to see Nintendo finally bring the lovable green dinosaur to the Switch. While Yoshi games aren’t known for breaking conventions, Crafted World seems to be trying out some new concepts without straying too far from what fans have come to expect from the series. For now we’ll have to stay on the lookout for when Yoshi’s Crafted World launches on the Nintendo Switch in late March.